In this Year of Youth, Marist Youth Ministry invites you to take the risk of going to new horizons and encountering people on the margins of life. 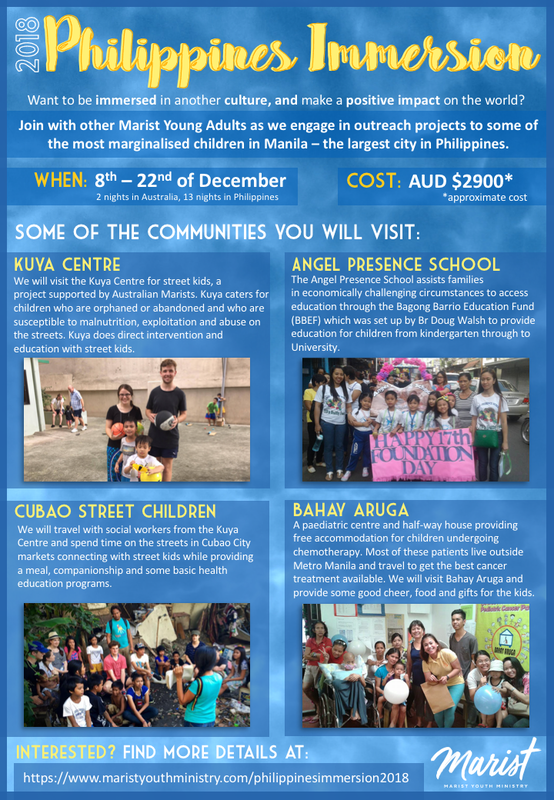 Join with Marist Young Adults as we engage in outreach projects to some of the most marginalised children in Manila – the largest city in the Philippines. The Philippines is a vibrant country, rich in culture and history, yet many young people and their families live in poverty and lack education and basic needs. Many young people resort to life on the street to survive. 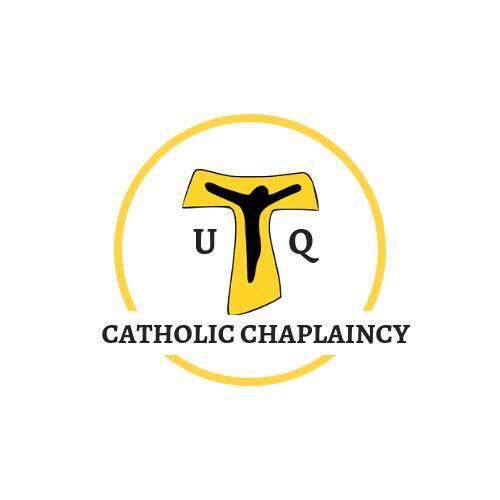 We will embark on a pilgrimage of solidarity to learn more about issues of justice and human rights and to connect with our brothers and sisters in the Philippines. Through encountering people and their stories, we hope to become stronger advocates for human life and agents of change in the world around us. We invite Young Adults (2017 school leavers or earlier) to consider applying for the 2018 Philippines Immersion. Applications close June 29, 2018.